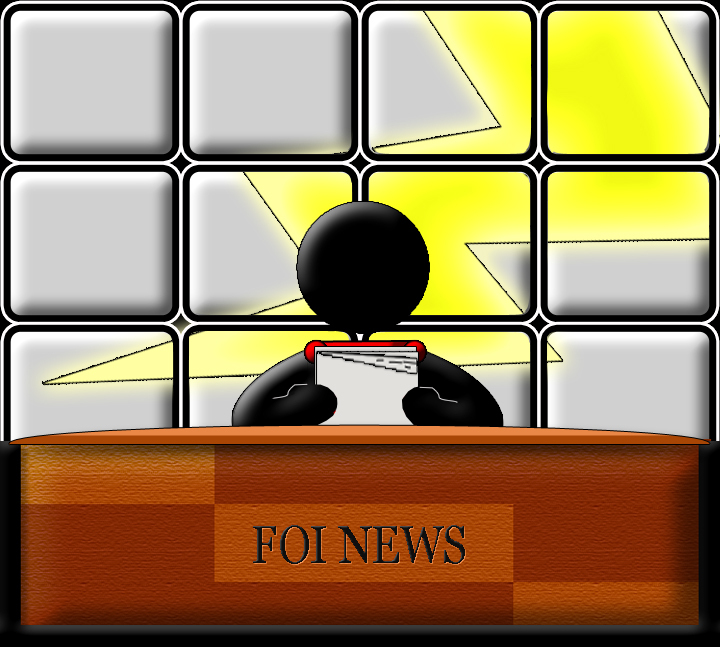 FOIMan highlights a new amendment to FOIA resulting from the UK’s planned departure from the European Union. It’s all getting real isn’t it? Aside from all the shenanigans in the Conservative Party this week, we’re seeing more and more of the practical application of Brexit from government. And the Freedom of Information Act (FOIA) isn’t immune from this. Yesterday the Cabinet Office laid regulations before Parliament which simply replace the reference to ‘any EU obligation’ with ‘any retained EU obligation’. And there we are – FOIA is ready for Brexit when (or if) it comes. 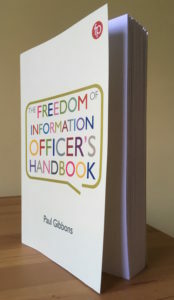 A reference guide to the FOIA exemptions is provided in the Freedom of Information Officer’s Handbook by Paul Gibbons, which will be published in January 2019. 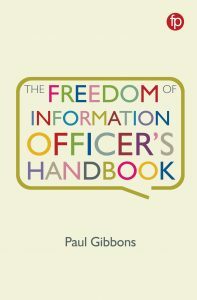 Readers and subscribers to this blog can pre-order copies direct from the publisher with a 30% discount (so it will only cost you £45.45) by emailing info(Replace this parenthesis with the @ sign)facetpublishing.co.uk and quoting the code FOIBLOG30 (do not supply payment card or bank account details by email). The publisher’s distributor will then contact you to arrange payment and discuss despatch instructions. 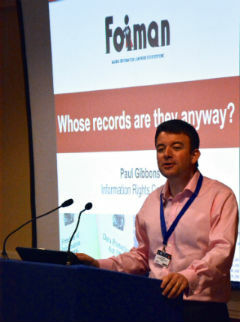 FOIMan notes a couple of developments on FOI enforcement. 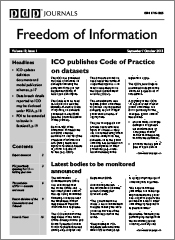 A brief note of two important enforcement actions taken by the Information Commissioner’s Office (ICO) in the last few weeks. First off, the Royal Borough of Kensington and Chelsea has been given a Monetary Penalty Notice of £120,000 for accidentally disclosing personal data. The FOI Officer apparently failed to notice that a spreadsheet contained a pivot table which held personal data in it. This is similar of course to a previous MPN given to the London Borough of Islington a few years ago. The council was criticised in particular for failing to train its FOI Officers adequately. Even more notably, and in a first, it was reported this week that the ICO is prosecuting a councillor with Thanet District Council in Kent under s.77. Whilst this provision has always been there to sanction the destruction, hiding or alteration of records to avoid FOI, it has never been used by the ICO. The case will be heard in September, so one to watch. The Department for Culture, Media and Sport has announced that their nomination to take over from Christopher Graham is Elizabeth Denham. Ms. Denham is currently the Information and Privacy Commissioner in British Columbia, Canada. This would be the first time that a UK Commissioner would be appointed from overseas. 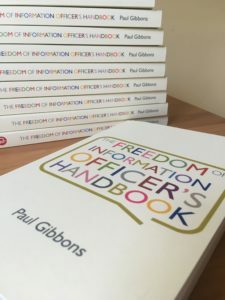 It won’t be the first time that we will have a female Information Commissioner – Elizabeth France was the Commissioner at the time that both the Data Protection and Freedom of Information Acts received Royal Assent. Ms. Denham will have to go through a pre-scrutiny hearing from the DCMS Select Committee, but if all goes well, the Queen will appoint the new Commissioner by Letters Patent later this year. Once this process is complete, the new Commissioner will take office in June this year. Following changes made by the Protection of Freedoms Act in 2012, Elizabeth Denham can serve a single 7 year term as Information Commissioner.